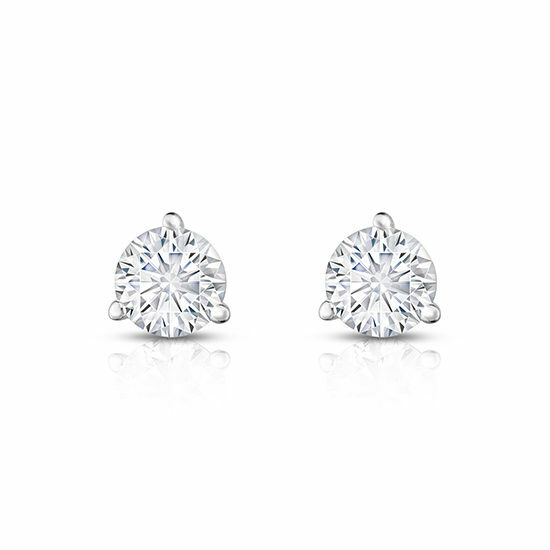 Timeless and beautiful, these white gold 3-prong martini diamond studs are perfect to wear day to night, for both casual and formal settings. Shown in 14k white gold with 0.71 total carats weight, G/H color SI2 clarity Round Brilliant cut diamonds. Ships In: Ships within 5 business days of confirmation of payment.